Sony may be one of the most prominent names in video gaming from a console perspective, but it looks as though the Japanese company will look to expand that reach by entering the mobile gaming market. In an official announcement today, Sony Computer Entertainment Inc. has announced that it will not only change its name to Sony Interactive Entertainment Inc. (SIE) as of April 1, 2016, but that it will also be following in the footsteps of rival Nintendo by deploying services aimed at “the ever-expanding smart device market”. 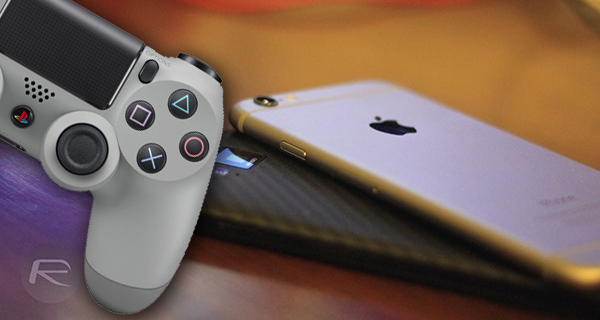 In short, Sony is planning on making games for iOS and Android devices. To make that dream become a reality, Sony will be spinning off a new company called ForwardWorks Corporation that will be charged with designing and developing content that is specifically aimed at smartphones and tablets in very explicit areas of the world. ForwardWorks will leverage the intellectual property of the numerous PlayStation® dedicated software titles and its gaming characters as well as the knowledge and know-how of gaming development expertise which was acquired over the years with PlayStation business to provide gaming application optimized for smart devices including smartphones to users in Japan and Asia. It may sound like an awfully corporate and non-end user friendly press release, but the crux of the matter is that Sony will be setting about a new venture under the name of ForwardWorks with the intention of building mobile gaming titles for the Japanese and Asian market. The fact that Sony has created a new corporate entity through which to develop and publish these titles, means that there has been a great deal of thought and planning put into the decision to head into the mobile market. With that said, it does feel a little bit like the success of Nintendo’s recently released Miitomo experience has made companies like Sony sit up and take a serious look at the ever-expanding mobile gaming industry and the vast reach of that market. If we can read between the lines correctly, it looks as though what Sony is attempting to do will focus on more traditional, fully-fledged gaming experiences that will be pushed out to the iOS and Google Play app stores. Nintendo may have had initial success with a more simplified social experience with the release of Miitomo, but Sony will look to capture the attention of the gaming purist by leveraging the popularity of various PlayStation gaming titles and characters that it has built up over the years.